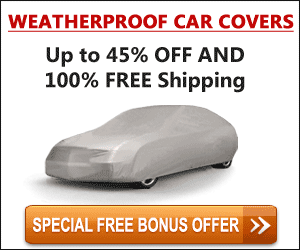 During the mid-last century, Volkswagen built its global empire on a Beetle's back. But that was a sub compact in a world where people need to haul lots of stuff. What's better for hauling stuff than a box? Thinking like this led to the VW Microbus, a supremely practical Type 2 based on the mechanicals of the Beetle (Type 1). Also called the Kombi, this brought an efficient, if underpowered rear-mounted engine, leaving copious room for cargo and passengers inside. 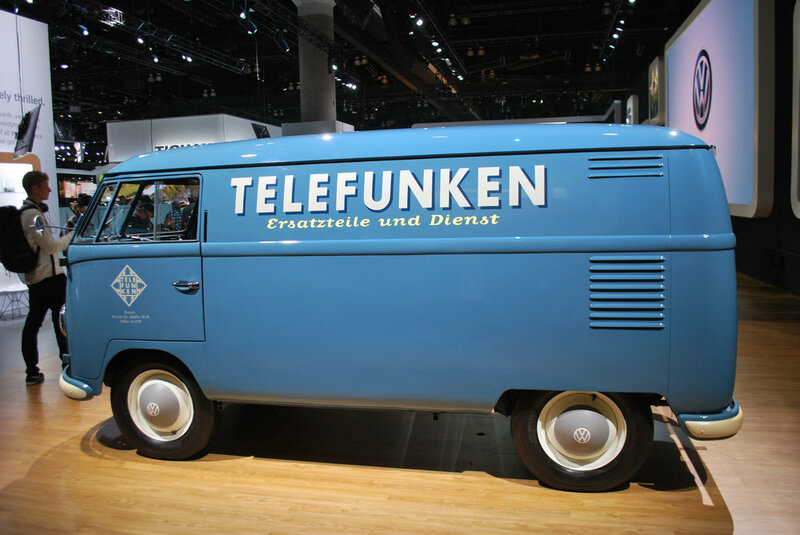 The idea for the Type 2 came from a Dutch VW importer who was inspired by an improvised parts transporter he saw at Volkswagen's factory. 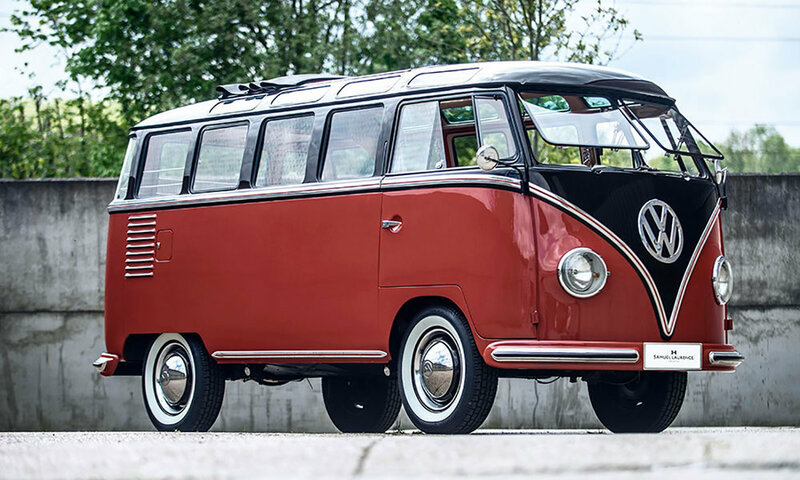 The microbus design was refined in a wind tunnel, resulting in a better aerodynamic rating than the Beetle. 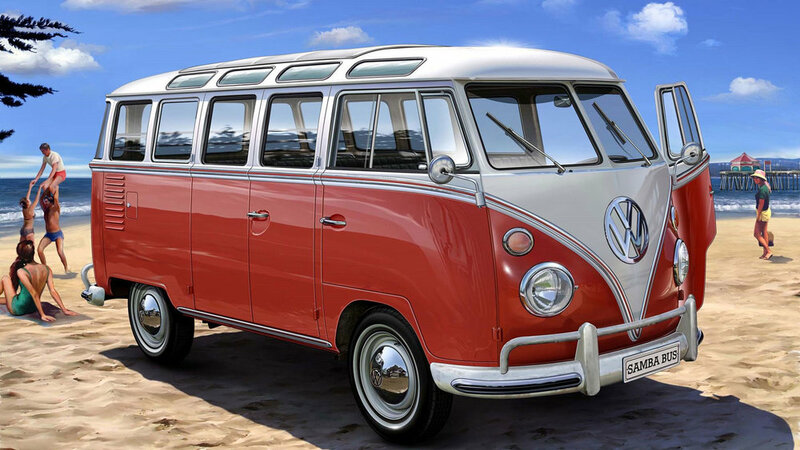 Introduced in 1950, the bus soon gave birth to variants including a camper, pickup truck and panel van. The bread loaf shaped Kombi stayed in production until final phase out of production in Brazil in 2013. 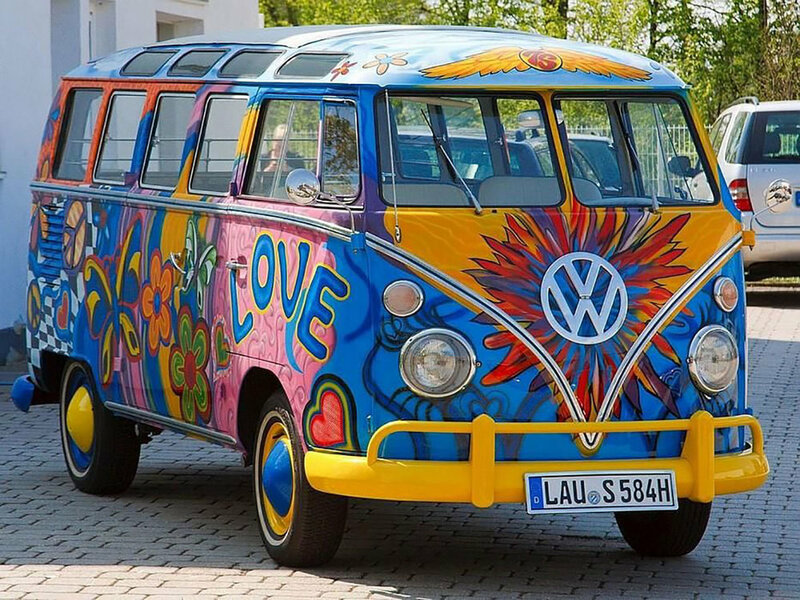 The vehicle of choice for Grateful Dead shows, Sixties hippies adopted the VW microbus as their signature vehicle, often painting them in wildly colorful psychedelic themes. They seemed unconcerned that the driver and front passenger served as the van’s front crumple zone. A case can be made that VW invented the minivan with its historic Type 2, and the Wolfsburg company hasn’t forgotten it. Recently announcing plans for an electric-powered reboot for the 2022 model year called I.D. 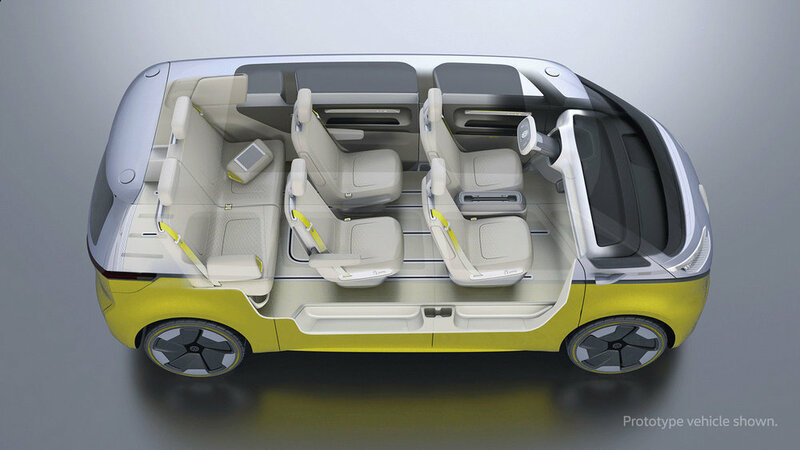 Buzz, VW has shown concepts in both passenger and commercial panel van variants. Retaining classic styling cues of their original microbus, but incorporating a reconfigurable interior, the new electric versions might carve a healthy niche in a future electric vehicle marketplace. 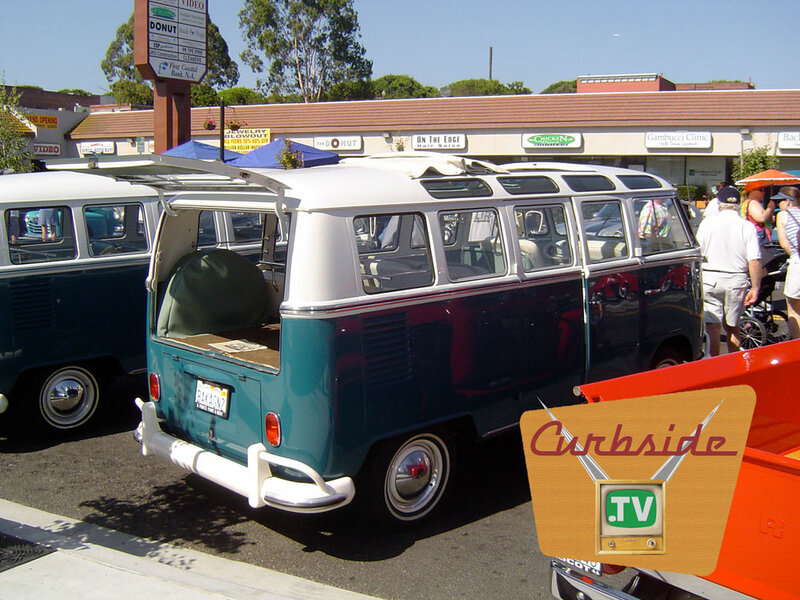 Interesting story about the two VW Microbuses used in this week’s header/hero image. The buses are owned by twin sisters who have had them since they were youngsters and now qualify for social security.